Ohodnoceno hosty po jejich pobytu (Résidence Studio Sakura). The apartment couldn’t be in a better location in Val. You are just off a road and so don’t get the noise but at the same time you are 30 seconds to the supermarket and a minute to the start of the slopes. The staff were super friendly and helpful, I was due to arrive very late and way past check in had closed. But a phone call later and I had been told how I could get in to the building any my apartment and that all the other bits could be sorted at a later date. The room itself was spacious, comfortable beds and a great bathroom with shower. Would stay again for sure! 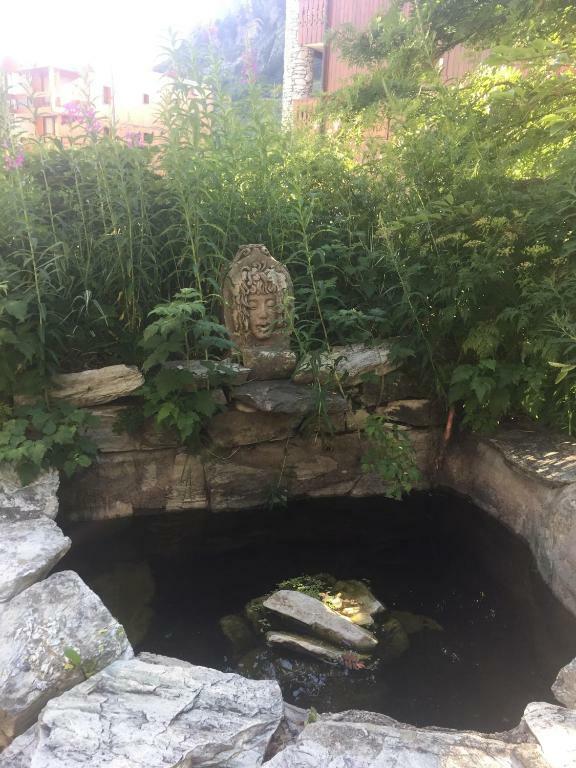 Lovely rustic apartment with all amenities in the best possible location run by a fantastic lady. It was the perfect location - Room 10 had a delightful view over the slopes. It was perfect for a small family. Great little apartment for me and a friend. Just what we needed. Basic but all the mod cons. Guys what u need to have in mind is that this is a family run chalet and they (surprise!) do not care about marketing. The awful pictures on this site are outdated. 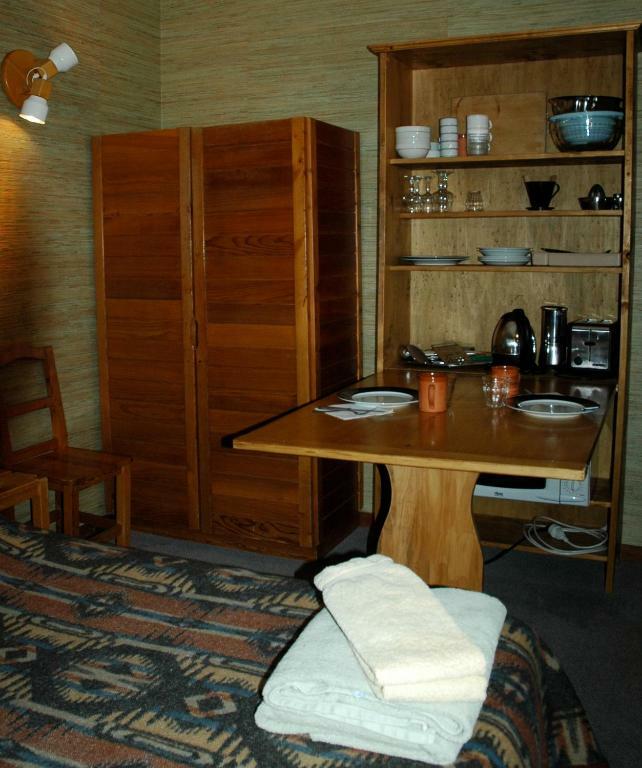 For example they have flat TVsets and their curtains are less cosy-grandma-house-looking then as seen in the photos. It is absolutely clean including no dust in any imaginable corner like under side of a wall socket for example. The location is perfect - about 5-6 min in ski boots to the lifts. Good sized room (Ground floor - room 2) especially compared to friends room staying in the hotel directly above the apartment. Bed mattress very comfortable although not used to a sheet and 2 blankets rather than a douvet but still cosy enough. Ample shelves for folded clothes and 6 hangers on 2 rails below. Hot and powerful shower. Large heated towel rail also very good. Clean and tidy apartment. Great location. Super friendly owner. Nothing fussy. So good to have a stove top coffee maker. 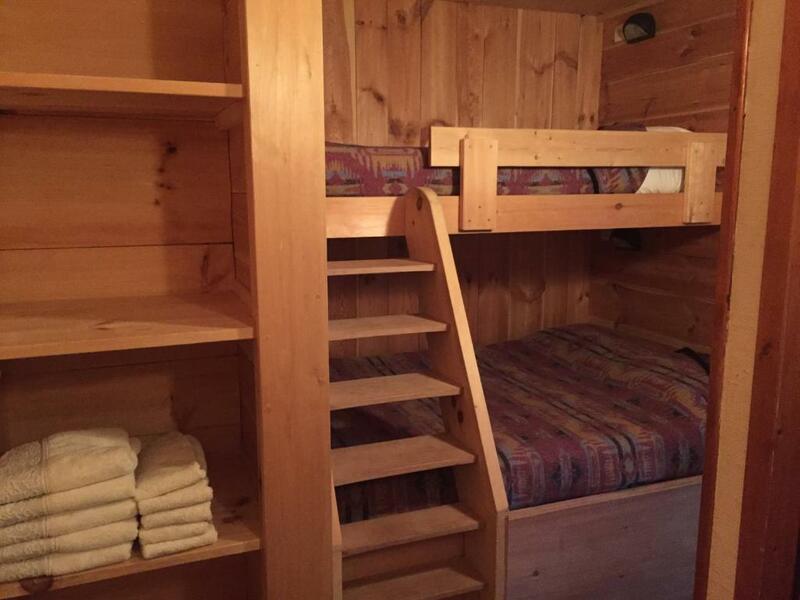 Room was spacious and well appointed in this charming rustic styled ski chalet. Rezervujte si pobyt v ubytování Résidence Studio Sakura za skvělou cenu. Podle nedávno ubytovaných hostů získalo hodnocení 8,8. Jeden z našich bestsellerů v destinaci Val dʼIsère! 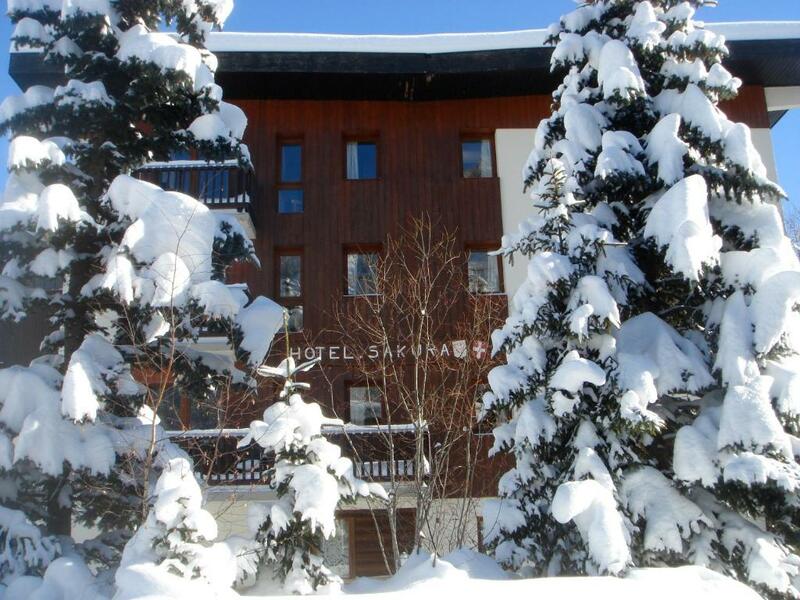 Hotel Residence Sakura is located in the heart of Val d’Isere ski resort. It offers studio apartments with a fully-equipped kitchenette and free WiFi access. 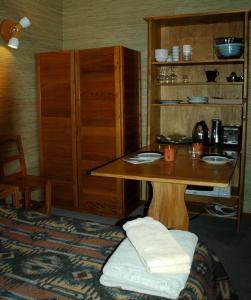 Each apartment at the Sakura has satellite TV, a DVD player and a dining area. Guests can enjoy a breakfast buffet, which is served every morning. Bed linen and towels are provided, and beds are made upon arrival. The Sakura Residence is just 80 metres from the Solaise Express and Bellevarde ski slopes, right in the centre of town. Local summer leisure activities include hiking. Podle nestranných hodnocení napsaných hosty patří tato oblast mezi oblíbené části destinace Val dʼIsère. Toto ubytování se nachází na jednom z nejlepších míst v destinaci Val dʼIsère! Hosté jsou zde spokojenější než v jiných ubytováních v této oblasti. Toto ubytování má nejlepší poměr ceny a kvality v destinaci Val dʼIsère! Hosté za tuto cenu získávají více než v jiných ubytováních v této destinaci. Résidence Studio Sakura – kdy chcete přicestovat? This studio has a west-facing view down the hill towards Bellevarde. It offers free WiFi. There is also a kitchenette, a flat-screen TV and a DVD player. Bed linen and towels are provided. This studio can accommodate 2 children upon request and at an extra cost. This studio offers free WiFi. There is also a kitchenette, a flat-screen TV and a DVD player. Bed linen and towels are provided. This studio faces south and it offers free WiFi. There is also a kitchenette, a flat-screen TV and a DVD player. Bed linen and towels are provided. Podmínky ubytování Résidence Studio Sakura může vyhovět Vašim požadavkům, napište je v příštím kroku. Résidence Studio Sakura přijímá platbu těmito kartami a vyhrazuje si právo na dočasné zadržení příslušné částky před vaším příjezdem. Parking is available with a private company and must be reserved in advance. The car park is called Parking du Centre PO and can be reserved online. Please note that breakfast is served in another building located 200 metres from the property.